3 Hollyhedge Road, Cobham, KT11 3DQ	 01932 450360 When a death occurs in your family, that is when you need the advice and assistance of a local, family-owned Funeral Director. Lodge Brothers are the family you can turn to. Cedar House 78 Portsmouth Road, Cobham, KT11 1AN	 01932 590500 Mundays is a leading UK law firm which provides specialist legal advice to corporate and private clients. 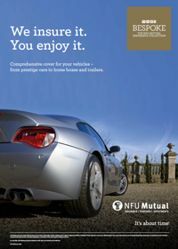 5 High Street, Cobham, KT11 3DH	 01932 865667 As one of the UK’s leading insurers, we’ve expanded – our new Cobham branch specialises in a bespoke collection of insurances, including High Value Home insurance and Comprehensive Car insurance. Burwood House, Convent Lane, Cobham, KT11 1HA	 01932 869990 Notre Dame is an Independent Catholic School which welcomes all faiths and cultures.